A few people have asked me about a Christmas house tour this year. If you follow me on Instagram, you've probably seen most of these corners of my home, but I thought I'd pop in here and post a few more pictures. I kept it really simple this year. I'm still loving neutral colors and greenery, like wreaths and garland, as well as lots of textured blankets, furry things, and candles. I want my home to feel warm and cozy. 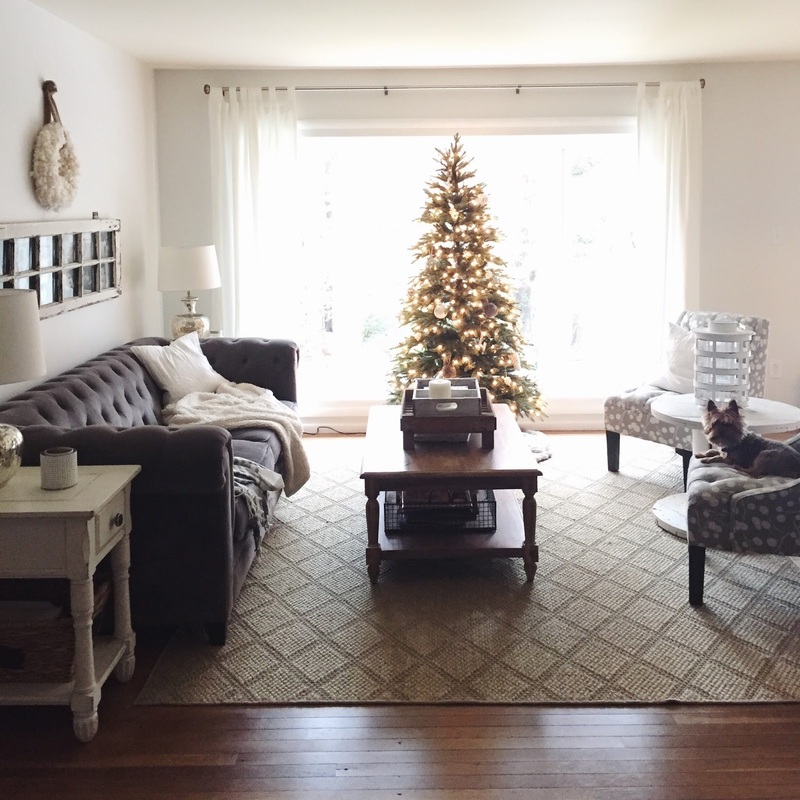 This year, we got a Balsam Hill tree for the living room and I've really enjoyed having it upstairs. Our real tree is downstairs by the fireplace. I decorated the upstairs tree and the kids decorated the downstairs one. Lately, I've decided that I'm really liking gold. So I'm starting to add splashes of gold around my home. I've been loving this Ballard Designs mirror for quite some time now. So recently, when they ran a big sale and I had some store credit, we splurged on it. I love how it reflects light and makes our small entryway feel a bit bigger. The view from the other direction. If you throw some garland on top of anything, it instantly looks festive and Christmasy. Our hot chocolate stand this year. 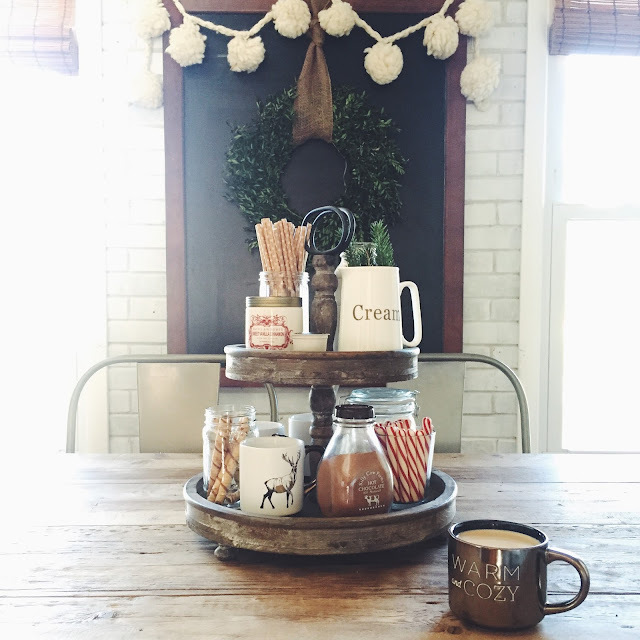 The tiered stand is from Magnolia Market. Several months ago, I painted the buffet a dark charcoal black (Benjamin Moore's Black Panther). I was wanting something more neutral than turquoise for the dining area. I'm loving how classy the black looks. It's also much more versatile now when it comes to decorating for the different seasons. And lastly, the bedroom because it got a furry wreath and some garland. The "S" book... made my day!!!! Very warm and cozy! Festive! I love how your home is decorated and uncluttered...good inspiration for me. Merry Christmas! Thank you so much! :) Merry Christmas to you too!